Henry Algernon Du Pont was born on July 30, 1838, at Eleutherian Mills, the Du Pont family estate in Delaware. 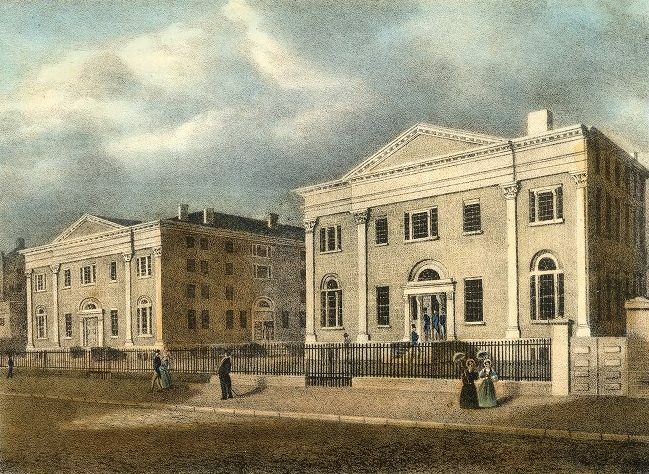 A member of the prominent manufacturing family, Du Pont was educated at the boarding school of Reverend Dr. Lyon in West Haverford, Pennsylvania, before entering the University of Pennsylvania in 1855 as a sophomore in the Class of 1857. Du Pont joined both the Zelosophic Society and Phi Kappa Sigma fraternity, but his time at the University was brief. He left during junior year in 1856 to accept an appointment to the United States Military Academy at West Point, New York. After graduating first in his class at West Point in 1861, Du Pont was commissioned a first lieutenant of engineers and assigned to duty in Washington, D.C.
By his distinguished gallantry, and voluntary exposure to the enemy’s fire at a critical moment, when the Union line had been broken, encouraged his men to stand to their guns, checked the advance of the enemy, and brought off most of his pieces. Du Pont remained in the Army after the Civil War commanding various posts, as well as serving on the board of officers tasked with integrating artillery, cavalry, and infantry tactics. In 1875 he resigned his commission to enter the business world — first in the family firm E.I. Du Pont de Nemours & Company, and in 1879 as president and general manager of the Wilmington and Northern Railroad. Du Pont entered politics in 1895 with an unsuccessful run for one of Delaware’s seats in the U.S. Senate; he was eventually elected to the Senate in 1906, serving until 1917. Upon his return to private life, Du Pont focused on agriculture and literature while living at Winterthur, Delaware. He died on December 31, 1926.